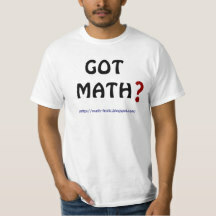 For whatever reason, I've never been much fascinated with math history (at least not pre-19th century history). 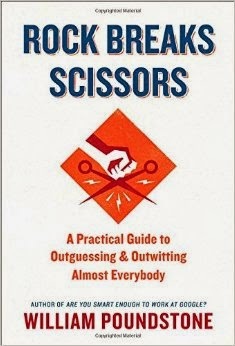 This book recounts the sometimes surprisingly controversial disputes over the early history of infinitesimals in mathematics. 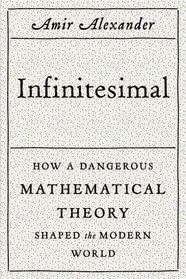 It ends right before the part that I would've found interesting… the Newton - Leibniz rivalry and history of infinitesimals and limits since then (David Berlinski previously wrote a popular book, "A Tour of the Calculus," covering that history which I find more intriguing). Thus, though Alexander's writing is good, and the narrative sometimes dramatic, it wasn't subject matter that particularly grabbed me. But if history is among your foci this volume comes very highly recommended and you should definitely give it a look. It certainly captures events and conflicts that most people will be unacquainted with. Recently on social media, Steven Strogatz and currently Evelyn Lamb have talked about teaching math history courses… don't know if this is a new trend, or such courses have long been around. In any event, both these works could be useful to an instructor of such a course -- the Alexander book, while perhaps more engaging, only deals with a sliver of history, while Artstein chronologically covers a wider swath and range of history, and is, I think, more useful. An older, more concise, historical overview of mathematics I've previously enjoyed, again comes from Berlinski, "Infinite Ascent." Artstein finishes his volume with a 30-page, almost polemical, chapter on math education that is quite an assault on Dr. Keith Devlin's well-distributed viewpoint regarding "mathematical thinking." (He never mentions Devlin by name, but seems to clearly be directing much of his commentary toward Devlin's writings.) I've seen others sometimes voice arguments similar to Artstein's, but not with the same tenacity and self-assuredness of Artstein. I think Artstein makes some valid points along the way… but then too, I don't believe in any 'one-size-fits-all' solution to teaching youngsters math. He seems to favor a form of teaching first proposed by Louis Bénézet in the earlier 1900's that never caught on widely. 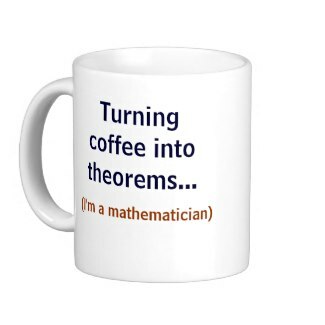 Anyway, Artstein asserts, "The truth is, there is no such thing as mathematical thinking." He argues there are only two types of thinking ('comparative' and 'creative,') which apply to most all disciplines, not just math, and that they can't be taught, but can only be learned through experience and practice! He goes so far as to say that, "Presenting 'mathematical thinking' as a necessity, or as beneficial to life beyond mathematics and its applications, is likely to cause harm." I won't try to fully explain Artstein's viewpoint (because I'm afraid I would misstate it in some manner), but he does offer many examples, and it makes for an interesting, if oddly contentious, final chapter (in fact, I suspect he could write a whole 'nuther controversial book based on the ideas expressed in this chapter -- the chapter sticks out oddly from the rest of the book, though I think in his mind it was more of a natural conclusion that the book was always building towards). So, I do recommend the Artstein offering (despite sometimes pedantic writing style, and the harsh ending), based on the second half historical discussion he delivers, and issues he will force you to think about. On short notice, I asked Keith Devlin (via email) if he'd care to respond with any comment about Artstein's views -- I haven't heard anything back, but will add it here later if I do. When I returned five hours later, the tweet, to my astonishment, had taken on an incredible life of its own. By the following day the response blew me away! (eventually almost 6000 retweets). Clearly, Robin Williams is beloved, and concern over mental health issues touch a nerve for lots of folks in this country! Most people seemed positive about the passage above, and quite sure of what it said (often, the response was along the lines of, 'YES! this needs to be said more often'). SO, here's the weird thing! -- I wasn't at all sure in my own mind, what exactly the above anonymous poster was trying to say!? I just thought it was an interesting take, but with two completely opposite interpretations possible, so am asking now for any clarification anyone may choose to offer. 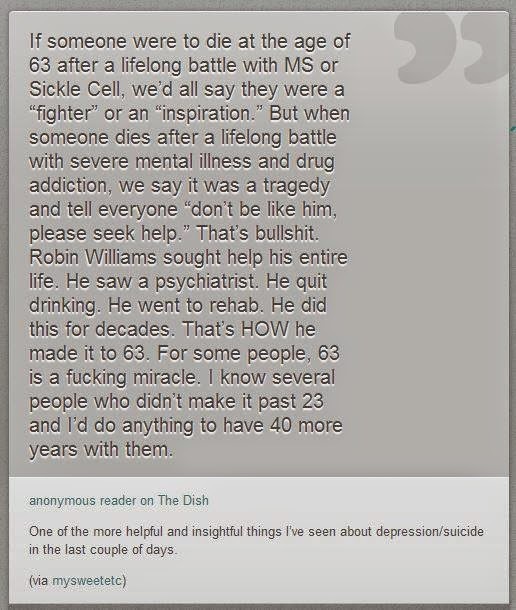 1) on the first quick read I thought the individual was noting how weak and inadequate our mental health system is, because here was Robin Williams, who did everything right (accessing the system) and yet stiiiiill killed himself at age 63. 2) that this is an instance where the system DID WORK, because Robin DID access the system, got help, and we had him around, as a highly successful, productive individual, for decades longer than we might have IF the system had failed. In short, I think the writer is saying that despite how things look and feel, Robin's case is more a success story than a tragedy, and needs to be viewed that way… BUT, I'm still not completely certain!??? (or maybe there's a more-nuanced in-between interpretation? ).